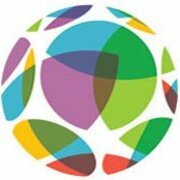 Educate Together is the patron body of the growing network of schools in Ireland that are run according to the Educate Together Charter. It is an independent NGO that runs schools that guarantee equality of access and esteem to children "irrespective of their social, cultural or religious background", are learner centred in their approach to education and are run as participatory democracies, with respectful partnership between parents, pupils and teachers. For over 35 years Educate Together has been working to establish inspirational schools for children in Ireland. Schools that teach to the highest standards of education through an ethos that guarantees every child equality of esteem, regardless of their social, cultural or religious background. Educate Together has a network of 80 primary schools and nine second-level schools nationwide.